Led by head coach Michael Boehle ‘84, the varsity volleyball team is ranked second behind Oak Park in the CIF Southern Section as of March 27. The Cubs have an overall record of 17-1 as of March 30. The team’s only loss came to first place Oak Park in the Best of the West Tournament in San Diego. In the league season, the team is undefeated after five games. The team played four games in as many days, the longest stretch of their season. The Cubs traveled to Pasadena to face St. Francis on March 21. The Cubs won in three games by a score of 25-16, 25-20 and 25-22. The Cubs then hosted Kamehameha High School in a non-league game on March 22, beating them in three games 25-17, 25-23, and 28-26. Kamehameha travelled to Loyola from Honolulu. The team then travelled to Chaminade on March 23. The Cubs swept Chaminade in three games 25-9, 25-20, and 25-17. The team also played a non-league game on March 24 against rival, Mira Costa, at the John Wooden Center on the UCLA campus. 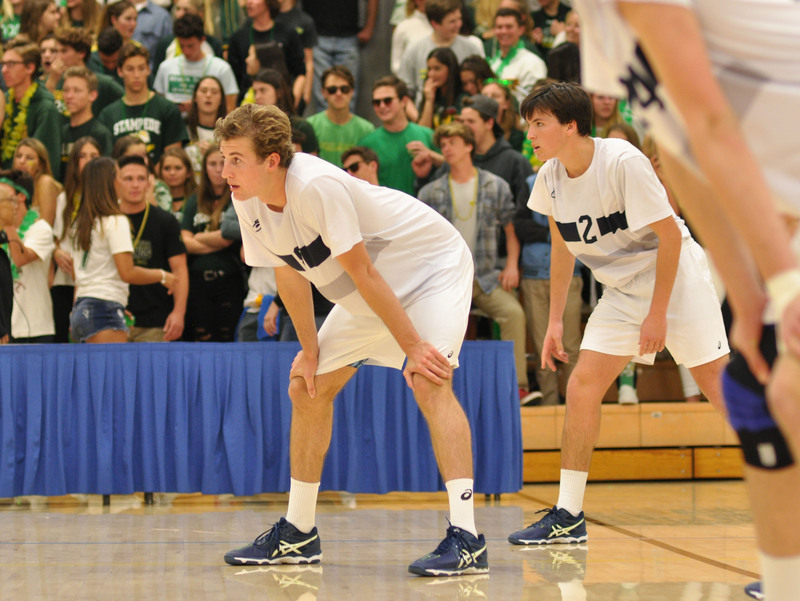 The game had to be held at UCLA due to the crowd size that neither the Mira Costa nor Loyola gym have size for. The game has been traditionally held at LMU, but the game had to be moved this year due to construction on the LMU gym. In a heated rivalry game, the Cubs swept Mira Costa in three games. The team held Costa to only 15 points in the first game and won by a final score of 25-15. The second game was closer, but the Cubs still won by a score of 25-22. In the final game, the team completed the sweep by a score of 25-19. On March 28, the Cubs returned to the league season by hosting Notre Dame. The team beat Notre Dame in straight sets by scores of 25-16, 25-20, and 25-23. The team then hosted Harvard-Westlake on March 29. The team swept Harvard-Westlake by scores of 25-19, 25-19, and 25-20. The team’s next game is April 6 when they host Crespi.